I … got myself an old calico dress, a sunbonnet, some pins and needles, elastic and tape and such sundries, and went down to the southern coal fields of the Colorado Fuel and Iron Company. The delegates rose en masse to cheer. The vote was taken. The majority decided to stand by the southern miners, refusing to obey the national President. In Denver I got a room and rested a while. I sat down and wrote a letter to the governor, the obedient little boy of the coal companies. I called a messenger and sent it up to the governor’s office. He read it and a reporter. who was present in the office at the time told me his face grew red. 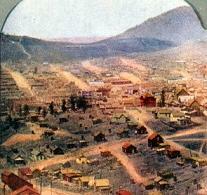 All civil law had broken down in the Cripple Creek strike. The militia under Colonel Verdeckberg said, “We are under orders only from God and Governor Peabody.” Judge Advocate McClelland when accused of violating the constitution said, “To hell with the constitution!” There was a complete breakdown of all civil law. Habeas corpus proceedings were suspended. Free speech and assembly were forbidden. People spoke in whispers as in the days of the inquisition. Soldiers committed outrages. Strikers were arrested for vagrancy and worked in chain gangs on the street under brutal soldiers. Men, women and tiny children were packed in the Bullpen at Cripple Creek. Miners were shot dead as they slept. They were ridden from the country, their families knowing not where they had gone, or whether they lived. When the strike started in Cripple Creek, the civil law was operating, but the governor, a banker, and in complete sympathy with the Rockefeller interests, sent the militia. They threw the officers out of office. Sheriff Robinison had a rope thrown at his feet and [was] told that if he did not resign, the rope would be about his neck. Three men were brought into Judge Seeds’ court — miners. There was no charge lodged against them. He ordered them released but the soldiers who with drawn bayonets had attended the hearing, immediately rearrested them and took them back to jail. Four hundred men were taken from their homes. Seventy-six of these were placed on a train, escorted to Kansas, dumped out on a prairie and told never to come back, except to meet death. In the heat of June, in Victor, 1600 men were arrested and put in the Armory Hall. Bullpens were established and anyone be he miner, or a woman or a child that incurred the displeasure of the great coal interests, or the militia, were thrown into these horrible stockades. Shop keepers were forbidden to sell to miners. Priests and ministers were intimidated, fearing to give them consolation. The miners opened their own stores to feed the women and children. The soldiers and hoodlums broke into the stores, looted them, broke open the safes, destroyed the scales, ripped open the sacks of flour and sugar, dumped them on the floor and poured kerosene oil over everything. The beef and meat was poisoned by the militia. Goods were stolen. The miners were without redress, for the militia was immune. And why were these things done? Because a group of men had demanded an eight hour day, a check weighman and the abolition of the scrip system that kept them in serfdom to the mighty coal barons. That was all. Just that miners had refused to labor under these conditions. Just because miners wanted a better chance for their children, more of the sunlight, more freedom. And for this they suffered one whole year and for this they died. One Saturday night I got tipped off by the postoffice master that the militia were going to raid the little tent colony in the early morning. I called the miners to me and asked them if they had guns. Sure, they had guns. They were western men, men of the mountains. I told them to go bury them between the boulders; deputies were coming to take them away from them. I did not tell them that there was to be a raid for I did not want any bloodshed. Better to submit to arrest. Between 4:30 and 5 o’clock in the morning I heard the tramp of feet on the road. I looked out of my smallpox window and saw about forty-five deputies. They descended upon the sleeping tent colony, dragged the miners out of their beds. They did not allow them to put on their clothing. The miners begged to be allowed to put on their clothes, for at that early hour the mountain range is the coldest. Shaking with cold, followed by the shrieks and wails of their wives and children, beaten along the road by guns, they were driven like cattle to Helper. In the evening they were packed in a box car and run down to Price, the county seat and put in jail. Not one law had these miners broken. The pitiful screams of the women and children would have penetrated Heaven. Their tears melted the heart of the Mother of Sorrows. Their crime was that they had struck against the power of gold. [T]he stone that held my door was suddenly pushed in. A fellow jumped into the room, stuck a gun under my jaw and told me to tell him where he could get $3,000 of the miners’ money or he would blow out my brains. “Sure “ I put my hand in my pocket, took out fifty cents and turned the pocket inside out. There were two other deputies outside. They kept hollering for him to come out. “She ain’t got any money,” they kept insisting. Finally he was convinced that I had nothing. This man, I afterward found out, had been a bank robber, but had been sworn in as deputy to crush the miners’ union. He was later killed while robbing the post office in Price. Yet he was the sort of man who was hired by the moneyed interests to crush the hopes and aspirations of the fathers and mothers and even the children of the workers. The strike in the southern fields dragged on and on. But from the moment the southern miners had been deserted by their northern brothers, I felt their strike was doomed. Bravely did those miners fight before giving in to the old peonage. The military had no regard for human life. They were sanctified cannibals. Is it any wonder that we have murders and holdups when the youth of the land is trained by the great industrialists to a belief in force; when they see that the possession of money puts one above law? A strike began in Colorado began in September 1903, and within a matter of days coal miners in Utah’s Carbon County joined the strike when they were recruited by UMWA organizers sent from Colorado. 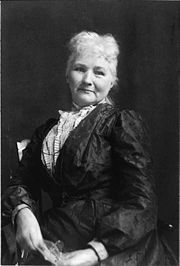 Can’t tell you how wonderful it is to read this history of Mother Jones. Thank you. Came here on the recommendation of Mike Malloy just now on the radio. Will be back. Always glad for a truth-seeker to drop by. 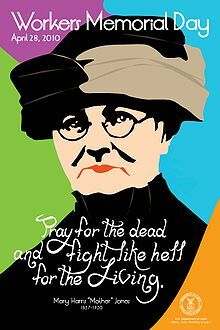 Would anyone know where I could purchase the 2010 poster of Mother Jones?